The 14th Congress of the Polisario, held late last December in the Tindouf camps, seems to have ignited a Machiavellian campaign of settling of scores. The old / new leaders of the Polisario, including Mohamed Abdelaziz who has been reappointed for another four year term at the helm of the separatist front, wasted no time to nitpick the young opponents and dissidents who tried to disrupt the works of the Congress. These opponents were demanding, among others, the ousting of the old figures that have dominated the front leadership for so many years. According to sources from Tindouf, the Polisario militia have combed the camps hunting for these opponents and arrested about one hundred individuals for allegedly inciting to violence. After tough interrogations in Rabouni, the defendants, mostly militants of the unauthorized “Youth for Change” movement, were taken to the infamous Dhaibya prison, where they are subjected to all kinds of torture. 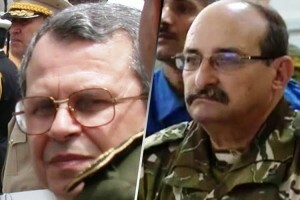 In the wake of these arrests, Mohamed Abdelaziz proceeded, as ordered by the new head of the Algerian Military Intelligence Services (DRS) General Athman Tartag, aka Bashir, to the ousting of Mohamed Lamine Ould Bouhali from the sensitive position of “Minister of Defense” that he had held since the early 80s. At the time and until September 2015, the DRS were headed by General Mohamed Mediène (Taoufik.) Taoufik had been sacked without explanation by President Bouteflika. After he made sure that the ailing Mohamed Abdelaziz is maintained at the head of the Polisario, General Tartag now seeks, according to a Sahrawi notable close to the Polisario leadership, to get rid of the legacy of his predecessor Toufik to regain total control over the Rabouni camp, hosting the Polisario headquarters. He took Bouhali as a first target, knowing that this former soldier of the Algerian National Popular Army served as a link between the Polisario headquarters and General Mediène, reporting to the deposed General everything going on in the camps. For Bashir, as was the case with his predecessor Taoufik, the ultimate goal is to bar the way to any normalization of relations with neighboring Morocco that the Algerian generals regard as the number one enemy in Algeria’s neighborhood, explains the Sahrawi notable.